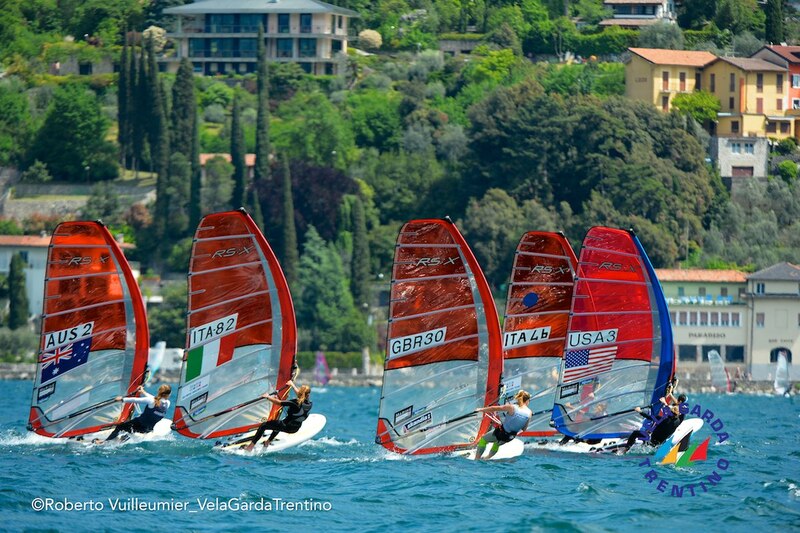 During the last few weeks, I competed in two Eurosaf (European Cup) events, the Garda Olympic Week at Lake Garda, Italy, and the Delta Lloyd Regatta in Medemblik, Netherlands. Both events were "filler" for the season, as my peak was the World Cup events earlier this spring. However, I used the events to determine the next steps for my racing, and to attempt to win funding for next year. 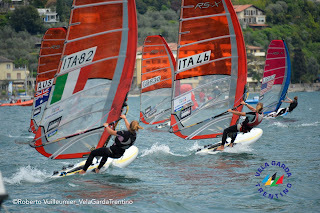 Because the Garda Olympic Week and Delta Lloyd Regatta aren't World Cup events, the number of races and format were slightly different, but were still a spinoff of ISAF's World Cup test format. 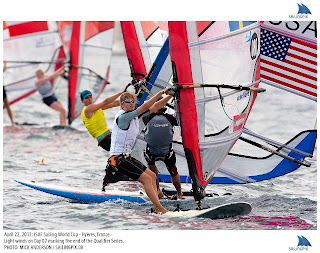 The boards were scheduled to race 17 races over 5 days, meaning 4 races per day and one medal race on the final day. Although the number of races was high, the courses were a bit shorter and during both events, conditions permitted four races per day to happen easily. 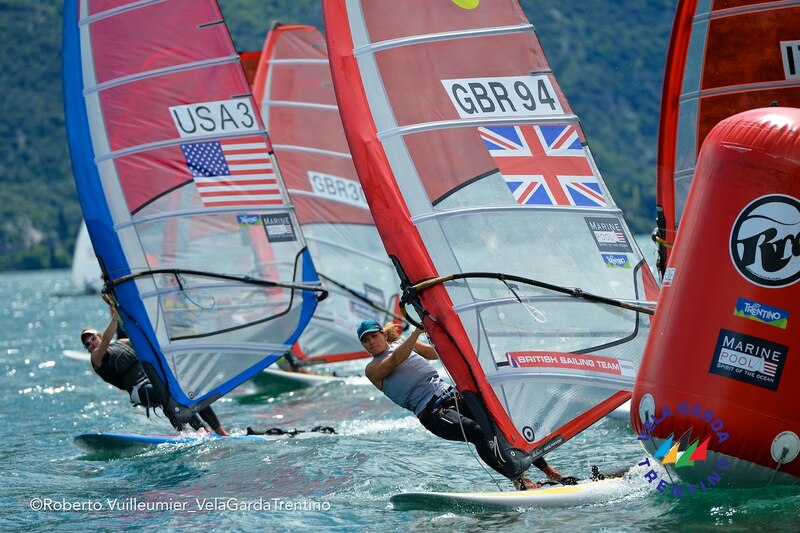 Although the regattas progressed as planned, with 3-4 races per day and only one day of waiting for wind in Lake Garda, ISAF's new scoring system again proved itself to be flawed. 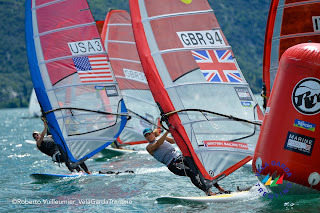 At the Garda Olympic Week, despite winning 10 out of the 14 series races, British sailor Bryony Shaw finished in second place due to the "carry forward" scoring between the race series and the medal race. In the men's fleet during the Delta Lloyd Regatta, Dorian van Risselberghe, the 2012 Gold medalist, again won the majority of the races. Although he was in first going into the medal race, a poor finish removed him from the podium altogether. By using placement as points and condensing the scoring so there is only one point between each sailor, ISAF's new format simply does not reward consistency of results during the regatta series. What, then, is the point of trying to complete 16 races in four days before the medal race? The number of races simply is too many for no payoff in points whatsoever in the medal race - the same result can be had after three or four races. The priority for any event should be to promote fair competition for all sailors, and easy comprehension of scoring for spectators. Weighting one race more heavily than all the rest doesn't reward consistency of finishes and "quality" sailing. As for my personal experience, I underperformed at each event. However, it is no longer a mystery to me why. I worked with a Spanish coach during Medemblik, and essentially, a new door is going to open for me soon in terms of tactics. The speed I developed this winter is pretty good, but I have been making errors I wasn't aware of. My new homework is to accelerate learning this element of competition. I did enjoy aspects of the competiton. I liked the three four shorter races because there was room for less error, and thus mistakes were more visible. 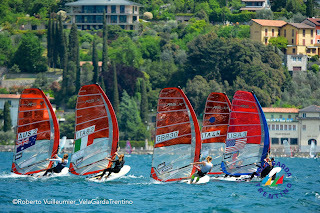 Lake Garda is truly a windsurfer's paradise, and we had warm, sunny weather while we were there, which made for good wind and great racing. Medemblik was windy and choppy, but very cold! Temperatures were in the high 40s/low 50s with plenty of rain, and one morning I arrived to find ice covering my equipment. Although it was the coldest event I've ever been to, I learned a lot about tactics! I'm now back in Maryland for a short break before our European Championships in Brest, France. I am looking forward to this next event as tactical training and a chance to win additional funding. Brest is a tricky spot and will be a great opportunity to learn. The south of France is home to my favorite regatta on the World Cup and European circuit, the French Olympic Week. This year marks the 8th time I've competed in this event, and it remains one of the most popular on the circuit for all the sailors. The French Olympic Week is full of youth teams, and having a group of skilled European youth sailors create a big fleet is a perfect opportunity to try new tactics or make sure I am consistently executing the skills I already know. I used this event to back up Palma, and it was a good gauge for my fitness and identifying small details of racing that I need to improve. It was a test of pulling all the elements of my game together and gave me a number of key areas to focus on for the next 6 months. My next target in the World Cup is Sail Melbourne, the first regatta of the 2014 series - it's hard to believe most of the 2013 series is over already! From racing the World Cup series, my ISAF ranking is now 11th, which I am happy about despite my lack of participation early in the series. I elected not to do Miami for financial and training reasons, foregoing ranking points as well as making the 2013 US Sailing Team. However, this allowed me to take advantage of training in Australia with the focus of improving speed and overall performance. Now I know I made the right choice, and I am happy with my sailing over the last 6 months and that my world ranking reflects this progress. In France, it was also great to see the US Sailing Team's interest in my personal program and have the team leaders take time to meet with me and discuss our plans going forward. Thanks to Josh Adams and Charlie McKee for making the team a welcoming environment. I am currently in Italy at a training center for athletes, where I am working on recovery and physical training before the next events. 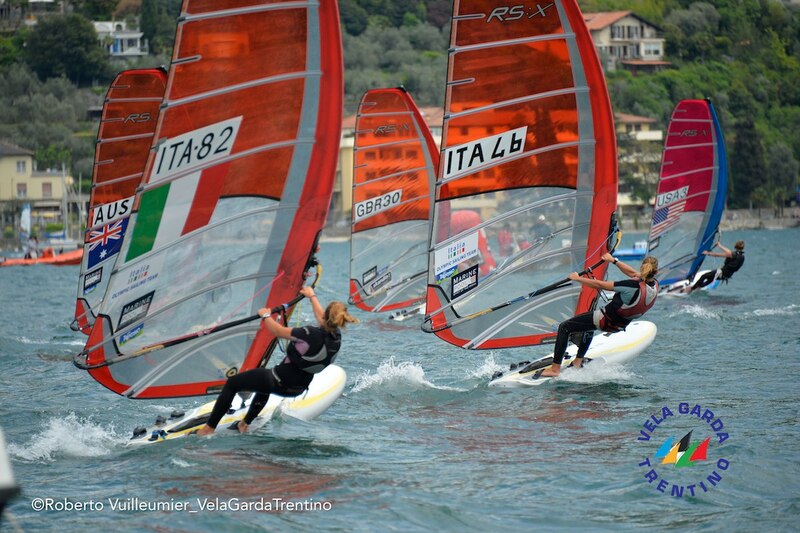 Although there are no more World Cup regattas this year in Europe, the Eurosaf cup is still taking place and I will compete at Lake Garda, Italy, and Medemblik, Netherlands before taking a break at home. After these events, I will have a long list of skills to focus on training during the later summer and fall. This year more than ever, money is a limiting factor in my improvement. My 2012 major investment in coaching and a focused program is beginning to pay off in results. I have been fortunate this winter and spring to be able to continue to train and compete on the circuit, but I continue to be stretched to the limit. The financial results of this year will be a major indicator of whether I can continue to have the level of support that I need to potentially medal at the 2016 Olympics. I am on my way up, and would like to finish my climb to the top.